As the finale of Jonathan's birthday celebrations, we had a nice dinner at The Capital Grille in Philadelphia. It came highly recommended by his uncle, Dennis. We started out with soups, Jonathan having clam chowder while I chose lobster bisque. Definitely the largest pieces of lobster in any soup I've ever had. Very tasty. The chowder (New England) was also good, Jonathan mentioned that it had great flavor. We had a very knowledgeable server, and she helped Jonathan choose a delicious wine to accompany his delmonico steak. The steak was dry-aged and had a twelve-year-old balsamic seasoning it. He really enjoyed it, and the bite I had was pretty good. I went in an entirely different direction, choosing the sesame seared tuna with gingered rice. It was sushi-grade, so I had it rare, of course. The three accompanying sauces (soy, wasabi, ginger) were fantastic complements, and it was delicious. Sides are ordered and served family-style, and we chose the potatoes au gratin and the oven-roasted mushrooms. The potatoes were also suggested by Dennis, and they were delightful. I can't think of any potatoes I've ever had that were similar, and even Jonathan went back for more. We had a bit to take home, and they were good reheated as well. The mushrooms were an assortment of shiitake, oyster, portabella, and cremini... all very good. We both agreed that they could have used more garlic (they were flavored with garlic butter, thyme, and rosemary), but they were still very good. All in all, aces in our books. We were stuffed, even after pacing ourselves through the nearly-two-hour meal. We'd recommend Roz, our server. She was friendly, warm, knowledgeable, and even gave us a coupon for a complimentary appetizer next time. We've been driving by it and talking about it since we first tried Cheeburger Cheeburger back in September. Well, the time came to try Cheeseburger in Paradise. We were surprised when we walked in, as the restaurant had a uniquely roundish setup, and plenty of televisions (aka this is definitely a place we can watch the games! too bad football season is about over...). Rob joined us for lunch at the place, and we had very prompt service throughout the entire meal. We ordered the fried pickles as an appetizer, and they were the best that I have had in a long time. The sauce is a sweet horseradish, but very fitting. I also tried their Disgruntled Elf Margarita, which was fantastic, especially for $6.75. I went with the typical Bacon Cheddar burger, and Jonathan had the Bleu Cheese/Buffalo burger. I liked mine quite a bit, and Jonathan thought it was pretty good. Rob went with their mix 'n match, choosing the salad and the crab burgers. He said the crab was okay and the salad was pretty good. The fries were tasty, but beware they are the thin and scraggly kind. Good place, I'd recommend. But, the real question is how does it compare to the nearby Cheeburger Cheeburger? Well, the onion rings at Chee beat out the fries here, but the pickles are a real contender. The shakes at Chee are wonderful, but there's cocktails here. Diner vs. sports atmosphere. The burgers I'm going to give to Chee, mostly since they're soooo customizable. I think it's gonna be a mood-dependent question. Feel like pickles or onion rings? burgers or burgers and other options (they have a cuban sandwich here that I'd love to try)? 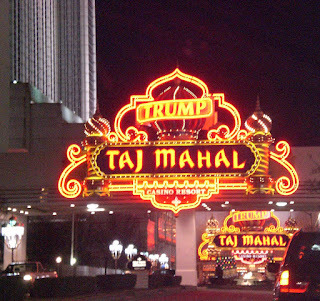 so with Atlantic City being just 90 minutes or so away, Jonathan decided he'd like to go there for his birthday. It was just the two of us, and we only went for a day/night. It was fun, but since it's totally not season (we were there the day before the big snowstorm began), there were a lot of closed things and we didn't get a chance to see a whole lot. 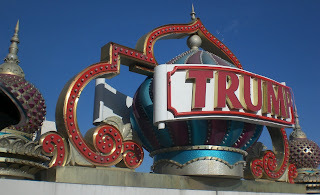 We stayed at the Trump Taj Mahal. We went looking for dinner inside... and it took quite a while. 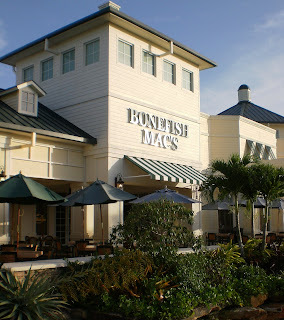 There are four fine dining restaurants and six casual restaurants, then a few fast food places. Private parties had all of the fine dining places booked, and half of the casual places. One casual place wasn't open. That left us two choices (we didn't really want Sbarro pizza or Mrs. Field's cookies for his birthday dinner, LoL!)... one had an $11 grilled cheese sandwich (just to give you an idea of the crazy item pricing), and the other was a burger joint. We chose the latter, simply named "Burger." I had a bacon and cheddar, he had a mushroom and swiss. Both were quite good, actually. The fries were tasty as well. 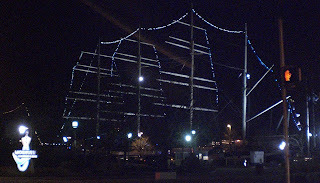 Lockheed had this year's holiday party down in Philadelphia, at Moshulu. That was really exciting for us, since we've driven by the place a ton of times, since you can see it from I-95. Anyway, parking was a bit of a pain, but after we found a lot that wasn't over-crowded we were good. We went in and the entryway was very crowded, as people were picking up their nametags, checking their coats, and dropping off canned goods for the charity collection. We did all that and then went exploring for a while. Multiple floors and sections made for a lot of different areas, all with something else going on. Asian appetizers were in one area, the main buffets in another, dancing with a live band somewhere else, another area for dessert and drinks in another place. It was neat overall, and the floors were slanted and definitely well-worn. Rob and a few other people arrived, so I went to hold a table (open seating all over the place, so it was hard to find seats) and the guys went to bring back appetizers. The fried shrimp was average, the chicken satay was strange, the wok-fried veggies were boring, the stuffed peppers were good, the Korean beef was GREAT. After sampling the different appetizers, I pioneered our table's trip to the buffet line. It was a long wait, and there weren't many choices (prime rib, carved turkey, salmon, orzo, roasted vegetables, sliced potatoes in a cream sauce, and ciabatta rolls). I tried everything but the prime rib (which the guys definitely had plenty of)... the salmon was very plain, the turkey was fatty, the rolls were fresh, and the potatoes were delicious. Dessert was a chocolate fountain with a bunch of dippables (no pound cake or bananas tho) and some petit fours. The chocolate mousse was good, the white gingerbread was strange, and the tiramisu went heavy on the Kahlua. Otherwise, nothing notable in the petit four department. When we landed in Orlando for a trip, Bryan, Joe, and DJ picked us up. 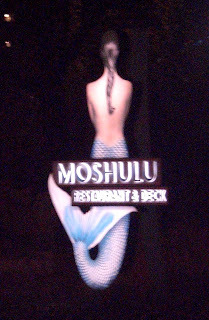 We weren't in a hurry, and I had read about a newer place that had great reviews, so we headed over to the downtown area for a late dinner. When we arrived at Graffiti Junktion, the place was hopping! It was seat-yourself, and we were quite fortunate to grab what looked like the last four-person table in the place (we added a chair on the end). Our waitress was awesome (her name was either Shannon or Melissa... we can't remember which), and we quickly had our drinks and placed an order. The restaurant was realllly loud at first, but we realized that was because there was a basketball game on (the Magic was playing), but there were less than 20 seconds to go, and after they won the place quieted a lot and emptied out some as well. Their mojito is supposed to be really good, and Bryan, DJ, and Joe all liked it. I tried a sip, but I'm not a big mojito fan so I can't give it a fair review. The appetizer we got was potato skins. They were big and pretty standard as far as toppings and preparations go, but they came with sides of sour cream and Texas-style chili. There were only four, but they were pretty big. We all liked them. Their burgers are their big draw, and that's what we all got. DJ got a turkey burger with sprouts, I had a regular burger with smoked gouda, and the rest of the group all got the buffalo burgers with various toppings. Joe and JB both got fried egg and canadian bacon on theirs. I'm not stretching the truth at all by saying that everybody was more than pleased with their meals. The entire way home and part of the next couple days we reminisced about how good those burgers were! The bun wasn't anything special, and I have never seen pickles sliced so thin, but it made for a great burger. The fries were diner-ish... cut with skins on them and a little greasy... but still pretty okay. Get the barbecue sauce on the side... it is among the best I've ever had. I was the only one with anything left over to take home, and my microwaved burger was just as delicious the next day for lunch! What a winner we found!! We needed to go to Lowe's to pick up something, so we decided to pick up a pizza from that area while we were out. Now, "that area" isn't anything special... about fifteen minutes from us, near the Denny's. We found Brother's Pizza online and phoned in a simple order... a large pepperoni pizza and 8 garlic knots. We took it home. I was appalled by the sight of the pizza when we lifted the lid... the most grease I've ever seen on a pizza, I'm pretty sure. I walked away and came back a few minutes later to actually grab a slice. It took two whole paper towels to blot out the majority of grease. The crust was good. The pepperoni was thick in comparison to the pizza. The sauce was average. But the cheese was salty... and that bothers me. So between the grease and the salt, I was not a fan. I had one slice and swore them off. Jonathan thought it was okay, but made no truly positive comments about the taste. And it wasn't uber-cheap pizza or anything... we paid like $13 for the large. The garlic knots were pretty good. Could have used some parmesan cheese, but at a quarter per knot, the taste was unbeatable. The menu is pretty large, and they do have several Italian baked dinners as well, but I can't really say I'd go back. Last Wednesday marked another anniversary for us. We went out to eat in celebration. We hit the jackpot on this venture, really. We found delicious Vietnamese food not fifteen minutes from our apartment, at Savor Saigon. 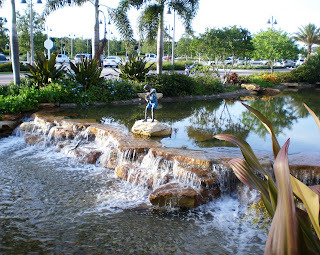 It's across the street from the Walgreens I usually go to, but I had never noticed the places in that plaza. Jonathan was in the mood for pho, and found a restaurant in Levittown, so we headed out there. We arrived about 7:35pm, and the place was nearly empty. I was afraid that was a bad omen, but it wasn't. We were seated promptly and water was brought out before I had a chance to even open the menu. It's quite a few pages, and on the front it mentions that there is a $25 minimum for credit cards (an important bit to know since very few places require more than a $10 bill). We ordered summer rolls for an appetizer. They were very good (the best I've had since California), and quite thick. Jonathan really liked their house peanut sauce, nearly finishing the small dish of it. Jonathan had beef pho, of course. He said it could have used more cilantro, but it was okay. The price was a tad high for pho, but since it is not in any sort of Asian neighborhood, it's not badly priced. He noted that there were a ton more noodles than usual. I was feeling shrimp pad thai at first, but after reading their ingredients and realizing I'd need to ask for three substitutions, I moved on. I ended up ordering a combination pan-fried noodle dish. It came with beef, chicken, shrimp, scallops, calamari, bok choy, broccoli, Chinese broccoli, mushrooms, and carrots (I asked for no snow peas). The dish was very large when they brought it out (I didn't even eat half), and the sauce was absolutely fantastic. The noodles were crispy for the most part, but did soak up the sauce for a nice texture as well. I was very pleased with my meal, and the fact that it made two leftover dishes as well! We had planned to go to JB Dawson's for the game last weekend, but when we got there we realized that there were only a few televisions, so we decided to go to Chili's. But on the way to Chili's we passed the Langhorne Ale House, and pulled in there. I found out much later that it's owned by Miller's, for those familiar with that chain. We waited about twenty minutes, but they were nice enough to put the game on one of their two foyer televisions, so although it was quite cold, we were able to watch the game while we sat. The place was really busy (we arrived just before 8pm), but we were eventually seated at a table large enough for six people. With the hockey game on the larger screens, we had a little difficulty getting the server to change one of the sets to the FSU-Clemson game (the hostess had assured me that there would be no problem in getting a television changed), but eventually got a screen changed that we could both see. We decided not to have an appetizer, basically because they were kinda pricey. I ordered a Bistro burger, Jonathan had the porterhouse steak. The wait was about average, and I would have expected to need to be much more patient, given the size of the restaurants and number of patrons. Mine came with pretty good fries, Jonathan's had fries and average corn. My burger was on ciabatta bread with an onion ring, bacon, cheddar cheese, the thinnest pickle slice ever, tomato, and delightful bistro sauce (red pepper and garlic). It was very tasty; I'd recommend it. Jonathan spent a long time on his steak (not his usual cut of meat), and in the end decided it was pretty good, but strange/rough. Service was fair until it was time for the check, when our server did twelve other things beside handing us the bill. But all in all, a decent place. They have a very wide beer selection (which is hard to find in the area, aside from places like Isaac Newton's), and one drink that I'd like to try (which sounds rather ridiculous, since they have thirty pages of beverages), so I'm fairly certain we'll be back before 2010. The place is only open Thursdays, Fridays, and Saturdays, so parking was rather scarce (we arrived around 12:40pm). Walking up to the entrance, it felt a lot like the the Pennsylvania Dutch places that we stopped at when we visited the Lancaster area. There are fewer than twenty vendors... some selling dry goods (pastas, candy, spices, etc. ), a few selling meat (ground beef, turkey, chicken pieces, sausage, etc. ), a fish stand (with soups and chowders! ), a cheese and dairy area, a bakery (cakes, pies, cookies, breads, donuts, the whole shebang), and so much more. For lunch we ate at the Greek place, King of Falafel. Jonathan went with a combo platter, with hummus and gyro. It came with a pita. I ordered the vegetarian special, which included two pieces of falafel, some hummus, some baba ghanoush, very fresh tabouli salad, a couple grape leaves, a pita, and a lemonade. Jonathan and I both really enjoyed the hummus (it is one of our favorite snacks! ), and he liked the gyro pretty well. The tzaziki sauce was very good, and I'm usualyl not a big fan. It was my first falafel, and I liked it pretty well with the baba ghanoush, but not by itself. The grape leaves weren't a favorite, but they never really are for me. Overall, I'd definitely place this among the BEST Greek food that I've ever had, and Jonathan agrees that it is really good. Sidenote, for those not familiar with Greek food, hummus is made with ground chickpeas; baba ghanoush is ground eggplant; gyro is lamb; tabouli is a parsley-tomato-cucumber-lemon juice combo (with a few other things I can't remember). The next morning, I headed over there again. There really are a few neat places. I bought some cheesecake cupcakes with cherries for Jonathan, and a cream-filled chocolate chip sandwich cookie for myself. I also picked up a half-pound of roasted onion cheese. It tastes kinda like a havarti-american blend, heavy on the onion. good stuff. The cookie was good, well worth a dollar. I wouldn't get it again tho, the cream was too much. I might buy plain cookies tho. Jonathan liked the cherry cheesecake cupcake as well. I think it is safe to say that our number one complaint about living in Pennsylvania is the lack of good Asian food. While we have a good Japanese hibachi place and a decent Vietnamese place (but that one's not very close) we have yet to find good sushi or Chinese. And I haven't even seen a Mongolian place at all. Well, we really felt like Chinese food. Again. It was lunchtime on a Sunday and Jonathan looked up a dim sum place online. We headed out to northeast Philly to find it... but it was gone. We seemed to be in an Asian area, but every place was closed. We used the GPS to find some general Chinese place, but the ones in the area it sent us to were also all closed. We just drove until we found one that was open (passing at least another three closed places on the way). I'm at a loss to explain why there are that many closed places at lunchtime on Sunday, but whatever. We found a parking spot a hundred yards or so from Golden Garden Chinese Restaurant on Rising Sun Avenue. We walked in and looked at the menu a bit before making a big order (planning on feasting upon lunch and dinner from this place). Given that fact, I'm gonna bullet-point the items and our thoughts on them. *Crab Rangoon - Jonathan liked it. He thought it was light on the crab, but I still didn't care for it. They were big pieces, and we got 10 for $3.50, so it was a really good deal. *Shrimp Eggroll - it was okay. It was very thick and a little longer than the average, so a steal for $1.20 (or possibly free, it's hard to tell since we didn't receive an itemized receipt). It was very garlicky, which was surprising. There were two small shrimp inside, but otherwise it was pure cabbage. It was fried really well, so it made for a tasty appetizer. I'd try the pork next time. *Egg Drop Soup - pretty good, Jonathan said. *Wonton Soup - plain. The broth was good but very plain. Very few scallions, which is a downside for me. The wontons themselves were quite large, but nothing super-special. General soup note - the "crunchies" they give you weren't the standard kind... they were more like smooth, enclosed pieces of penne... only baked. Still good. *Beef Szechuan - good. Jonathan wolfed down a good portion of it before taking a break to tell me how it was, LoL. *Chicken Szechuan - disappointing. It wasn't spicy-hot at all, despite having two markings as such in the menu. It wasn't bad, and we did only pay like $4.25 for it, but still sad. 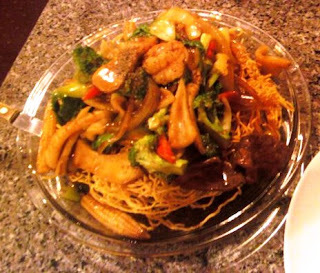 *Chicken Chow Mein - remind me not to order this in the Northeast again! They just don't seem to make it the same as other place at all! As with Osaka, there were no noodles. It had that same junky sauce. The flavor was again very moo goo gai pan. After I picked out all of the cabbage it was edible. *General Tso's Chicken - not really even worth talking about. It had a nice flavor, but was boring and (again) not spicy. *Pork Fried Rice - came with the meals. It had onions and beansprouts, no other veggies. Kinda plain, but not bad. After I added soy sauce, it improved some, but not a lot. Jonathan had been out of town on business for most of the week, so when he got home we went out to eat together. I had picked up a buy-one-entree-get-one-free coupon for Mama Mia Trattoria, so we went there. You may remember that this is another Carlucci restaurant, as was Villa Rosa, which we tried about two weeks ago. We got there shortly before 9, but since it was open until 10:30, that was no concern. We were seated immediately, and the place was moderately full. No booths, just tables that are a bit close together. The menu was pretty vast, and we were a little taken by surprise that many of the entrees were $14+. I reread the coupon and saw that it covered up to $12 on the free meal - interesting, since we only saw two or three that were under $12. I really wanted a shrimp alfredo dish... but they had very few seafood options (maybe ten total, only half of which were shrimp-related). All of the pasta dishes were either linguine, angel hair, rigatoni, or penne. I had the salad and Jonathan had the soup. The salad was a plain garden salad, and the dressing I chose (honey mustard) was very thick (but still good). The pasta fazul soup was okay, nothing special. The complimentary bread had a nice bottom, but the top was rather saucy and soggy. It wasn't a bruschetta, but it wasn't anything else, either. Our food came fairly quickly, especially considering the number of patrons in the restaurant. I had the chicken parmigiana over penne... Jonathan had the pasta al forno - with tons of sausage and meatballs cut up in the dish. While the pasta in both of our meals was absolutely al dente and delicious, mine fell short of my expectations. Jonathan found his to be delightful, but my chicken was over-cooked and the sauce was too overwhelming for the amount of cheese I was given. Neither of us really made a dent in our plates, and most of our food was boxed for home, despite the fact that we were both quite hungry when we arrived. I wouldn't recommend the place, but Jonathan said he'd return. On a final note, we did have amazing service... we were checked on frequently, offered more bread, parmesan cheese, and water, and were generally just treated very friendly. One evening we ordered from Villa Rosa for dinner. It's one of the six Carlucci restaurants in our area, but the first that we've tried. The garlic knots were delicious (a tiny bit overpriced, maybe), but the pepperoni-and-green pepper pizza was different. The peppers tasted like french-cut green beans more than anything else, and the grease level was a bit obscene. Not bad, but not worth getting again. Carlucci's has a very good reputation, so I'm sure we'll try a couple of their other restaurants tho! On the way back from Cape May we stopped for breakfast at another diner, Maurice River Diner in Millville/Port Elizabeth. Dennis and I had omelets (served with homefries and toast) and Jonathan had a pancake-eggs-bacon-sausage-homefries plate. The portions were very large, and everything was pretty good. The diner was a very large place, but the menu wasn't as extensive as other diners. We hit some roadside farm stores and drove through Dennisville on the way over. 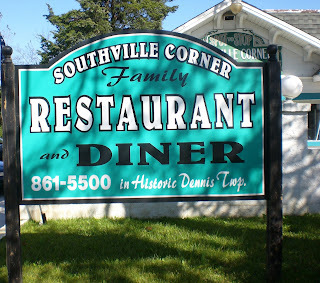 We stopped at The Southville Corner Diner and Family Restaurant. The menu was verrry extensive, and the portions very large. I had a bacon cheeseburger with fries (average), Jonathan had the prime rib sandwich (fatty but okay) and French onion soup (I'd give it a C-), and Dennis had a flounder sandwich. We had lunch at Campo's, and totally saw it packed! The pretzels were okay, and beware that the hot mustard and cheese are not free, like the sign mentions. Instead there's a charge of $1.41 for either. Considering the pretzels are 3 for $1.35, it's a bit crazy. I had the chicken parmiagiana, it was above average. Everyone enjoyed their selections, although I should note that The Stockyard is not for everyone... it includes chicken, steak, pepperoni, bacon, marscarpone cheese, and fried onions. Sounds interesting, but it's a bit much. Jonathan had most of one, and his parents finished it off. 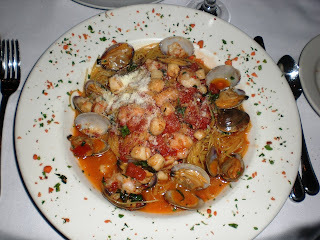 We had Cafe Graziella in Hillsborough, NJ for dinner. I had the Capellini Sinatra. Jonathan had the canneloni. His dad had the Savoya. His mom and Dennis each ordered a noodles and bolognese dish which I can no longer recall the name of. I loved mine, even the leftovers were delicious! It was an angel hair pasta with clams, scallops (the tiny ones like we catch every year), and shrimp. The Savoya was chicken with mushrooms, onion, spinach, and roasted peppers - looked delicious! ...and the quest for good Asian food in Pennsylvania continues! We were out running errands on a Saturday, and were over in Mount Laurel, NJ with a craving for Thai. The internet seemed to suggest Osaka Restaurant in that area, so we drove over there. Nope. bad place. don't go there. in fact, make sure you know NOT to go there, it was horrible. I ordered Chicken Chow Mein, Jonathan ordered Penang Chicken. Mine was very Moo Goo Gai Pan; we're not sure what his was. Mine had NO NOODLES, and a strange sauce. His was not curry at all, but rather a lightly-spicy chicken with peppers. Neither of us were impressed. It was also not even ten minutes after we left the place that I had to find a restroom, if you get my drift. Boo to this place... spread the word that it's bad. We felt like hoagies. We were in the Bensalem area. So, we drove down Street Road (seriously the name) and pulled into the first plaza with a deli listed on the sign. And it was a good choice. Jack's Cold Cuts is a family-owned business. They didn't have much going on when we waltzed in, as it seemed they were preparing for a catering job (we believe someone ordered up a ton of smoked fish trays). They have deli meat available (Dietz & Watson brand), and have a variety of sandwiches you can order. It's a cross between a Jewish deli and your standard, New York-Italian deli. I went with baked ham and swiss with dijon on a baguette (#25), and Jonathan had the Brisket with American cheese and horseradish on rye (#12). They came with pickles on the side... hand-sliced, thick circles, not-too-seedy, yummy pickles. Everything was very good. I need to get accustomed to ordering veggies upfront tho... I'm very used to the main part of the sandwich being made before being asked what else I'd like on it, but every time we go to a place up here there's no chance to add-on if you don't say it at the beginning of the order. If you're down in that area, check it out. Bensalem in general seems to have good food (and a lot of Indian places if you're into that cuisine!). Behind the place is Cramer Bakery, which seems to cater well to the Jewish population (lots of challah bread, and specialty signs about bar/bat mitzvah cakes, etc. Jonathan got a fresh cannoli, and I went with a large (and thin) chocolate chip cookie. The cookie was among the worst I've ever bought singly, as it was dry and milky, if that makes sense. The cannoli was very sweet, and Jonathan was unable to eat it in one setting. I thought it tasted like a standard cannoli, but then again I'm not a fan. I was pretty disappointed overall with the prices of the items, since apple strudel or cake are $9.95. Apparently there's usually a lot more out there, but I guess we went on a busy day or something (? ), since there weren't even any loaves of bread out. I wouldn't recommend the place, mostly since nothing has a price on it. I've yet to find a good bakery up here, but it's going to happen! On a Sunday afternoon, it was a beautiful day out (like 77 degrees), and we decided to go to downtown Yardley and have lunch at an outdoor cafe. Problem was, we had a hard time finding one, and decided to go to the Continental Tavern. We walked in to a lot of cheering (the Eagles were playing), and the bar area was packed. We headed into the dining area and were told to choose our own table. We both had burgers - I went with the "classic" and Jonathan chose the "continental." Mine had tomato, lettuce, and a choice of cheese (I went with cheddar, as opposed to American or Monterrey Jack). Jonathan's had mushrooms and onions with swiss. Both were good, although they undercook a little (I went with "well" and had a hint of pink, while Jonathan's "medium" was a little rare in the center). The buns were fabulous! We also got shoestring fries... delicious plain! Jonathan paid $1 to have his sprinkled with Old Bay and get a side of a queso-like cheese for dipping. The dip cheese was very good. The place specializes in burgers, but also has steaks and ribs for dinner. I'd recommend Cheeburger Cheeburger over this place for burgers, tho. Jonathan, Andrew, and I decided to have some Italian food and ended up at Florentino's. It is quite beautiful inside, and the food is hearty. However, service was quite slow and it was overpriced. We all opted for tap water, especially after noting it would be $5.50/person for mineral or sparkling water. Jonathan and I also opted for the standard bread, while Andrew paid $2.75 for garlic whole wheat bread. The bread was warm and crusty, but it was the dipping sauce that really made it delicious. It was a tomato basil sauce, and there was just enough in the dish to cover all of the bread. There was actually quite a bit given, and while I tried the garlic wheat, I'd stick with the regular. I had the Chicken Florentino, which surprisingly came with mashed (red) potatoes and some vegetables. The plum tomatoes, fontina, and parmesan made the dish, tho. Jonathan went with the shrimp scampi in a white wine and lemon sauce (and they charged him a dollar more than the menu stated), and the shrimp were pretty large. Andrew went with one of the specials, "Bob's Plate" which was wide fettuccine noodles with shrimp, scallops, crab, and salmon in a creamy vodka sauce. It was very good and he finished it off. I was the only one to have leftovers (my chicken was really big). The other patrons seemed to be fine with a leisurely pace (two women catching up like old friends, a single gentleman in business attire, a family with grown children, a group of wine enthusiasts), but we were slightly put off by it. Especially up here... it's not like we were in the South, LoL. Eh, it's okay, but I think I'd recommend a different place to others. Kit, Andrew's wife, was here from California for the week of Labor Day. The four of us got together a couple of times, but she and I had lunch one day at A Little Dragon, which is the closest Chinese restaurant to us (in the same plaza as our Giant Supermarket). We got there just a few minutes after noon and the place was nearly empty. We were promptly served water and tea, and had a few minutes to go over the menu while munching on Chinese chips and a light-colored sweet-and-sour sauce. I ordered the hot garlic chicken while Kit had the chicken lo mein. Both were served with rice (we opted for the white... the fried has peas in it), but no chopsticks. I had the wonton soup (very good) and Kit had the sweet and sour soup. I was supposed to get a shrimp eggroll with mine, but it never came. The food itself was decent, although nowhere near as tasty as in California, or even at a few favorite Chinese places throughout Florida. We both had leftovers, which isn't bad considering that each meal was only $6.90 with tax. I might be willing to give the place a second try (and get something different), or just have it on reserve for a quick-and-easy wonton soup fix. We were heading home from Philly, but Jonathan decided he was still kinda hungry. So we stopped for Chinese at a little place called China Moon, on Frankford Ave, I believe. He loved the egg drop soup, and thought the crab rangoon was pretty okay. We decided to go watch the game with the Seminole Club of Philadelphia. We drove about 35 minutes to get to Champps down in South Philly. It was a particularly busy day in sports, since there were other football games going on, plus a boxing match and a UFC thing. We got there about 6:40 (7pm kickoff), and were led to a room set aside for the Seminole Club. cool. We met a few of the folks, then grabbed a table. We were very close to a couple of screens, so we were able to catch all of the big plays without anyone jumping or cheering in front of us. We had waters since we couldn't find anything to tell us if it was a "coke" or a "pepsi" place. Appetizers were half-off, which was handy. We ordered the Loaded Chips, which were huge and delicious. Fresh potato chips (slightly burnt, yum) with pepperjack, cheddar, and mozzarella... with an asiago cream sauce... topped with smoked bacon, green onions, and sour cream. SOOOOOO good. We also had an order of chicken tenders (good honey mustard, the chicken tenders were average, and I would have been angry if I had paid full price). We stayed for the entire (remarkable) game, and found out that the place began charging $15 at some point for people to come in, since the fight was on. Luckily, the FSU shirt allowed you to get in and out, haha. Jonathan and I felt like burgers, so we headed over toward Sesame Place, where Cheeburger Cheeburger is. Ironically, it's less than a quarter-mile from Cheeseburger in Paradise, so I'm surprised they both get a lot of business! It's a diner in style and concept, and we were greeted by a fabulous host (who Jonathan suspects may have been an owner), who explained their menu. It's not hard, it's just big. If you want a salad or a wrap, there's a lot of options. If you want a burger you pick your size (5.5 oz, 7 oz, 10 oz, 14oz, and 20 oz), then your cheese (8 choices), and your toppings (30 toppings - ALL FREE). There's a few premium items, like sauteed onions, portabello mushrooms, and bacon - they cost extra. Jonathan got American cheese on his, but very little else. I chose CheddarJack with tomatoes, pickles, onions, and grey poupon. Next time I'd try a different sauce (there's many), as grey poupon is a little strong for a burger. Otherwise, it was delicious, and we both brought home leftovers. We also got the "best of both basket" filled with fries (the kind with skin) and the BEST onion rings of my life. We couldn't even finish a half-order, and know next time to just get the onion rings! They have five dipping sauces for these items, and we tried three... the creamy cheese (I thought it was salty, JB liked it), the zesty horseradish (fantastic with the onion rings! ), and the sweet pepper (strange aftertaste... kinda oily). We got milkshakes to go (they have like 80 flavors!! ), and I'd recommend getting them to go, since they get better after they're a little melty. I got the regular and Jonathan got the small... the regular is definitely a better deal, LoL. I had the s'mores flavor, he had the Take 5 flavor (with all of the ingredients of the candy bar). I adored mine straight through til the end, and Jonathan liked his while munching on some pretzels to balance out the sweet-salty. Last bit to note: the tables all have laminated trivial pursuit cards to keep you occupied while you wait... and since we like that sort of thing we had a good time even before our meals got there! They have a bunch of deals, too - including platters and dinner-and-a-movie deals. We'll be back when we need a burger fix! We stopped for a late/second dinner at Nino's Pizzarama. Jonathan had a slice of pepperoni, I had a slice of white pie (ricotta instead of marinara) with tomatoes, and we shared 4 garlic knots and a root beer. The pizza was delicious, and I was beyond thrilled at the pizza... truly brings me back to the pizza I had as a young girl. The garlic knots were good (4 for $1.35), too. The root beer is bottled and distributed nearby, with a Nino's label! Delicious, and very little carbonation. We'll remember this place, and likely return. The menu is quite large, but it is a drive! We love college football. We particularly love the Florida State Seminoles. I've missed two televised games since 2000, and Jonathan's only missed a few since he was a small boy. I'm now in my eighth season of going to live games in Tallahassee, the fourth of which where we've had season tickets. We were in Tallahassee to see the Miami game, but beforehand we met up with CS, Trish, and Heather at Buffalo Wild Wings. It was the absolute worst service I've ever had there, and everyone agreed. The food was still good, but when you wait an hour for it and the place isn't even packed, it better be. We literally watched another table get seated after us, order, eat, pay, leave... another party seated at the same table, then order, eat, pay, and leave... a third party was seated and had received their drinks when we finally got out of there. We would have left if it wasn't for the fact that it was game day, causing many places to be full and a lot of traffic to get from A to B. Eight of us went to have lunch at Asian Gourmet, a Vietnamese place. They have a Pho Sate you can order on a scale of 1-10... Bryan advised us not to order anything above 3, and he likes the 2. We both ordered the 2 and weren't impressed. It wasn't that spicy, plus the flavoring was strange. Plus the price was pretty high for pho. Pass. Jonathan and I were in Florida for a few days. Six of us went to Thai Thai II on Beachside, only to be treated like dirt (in the past we've had top-notch service at all three of the local Thai Thai restaurants). We waited for more than half an hour as other patrons came after us and were seated before us. We were finally offered a plastic picnic table that they would drag inside for us to sit in the foyer of the restaurant, and when questioned about their choices, they gave us the run-around. 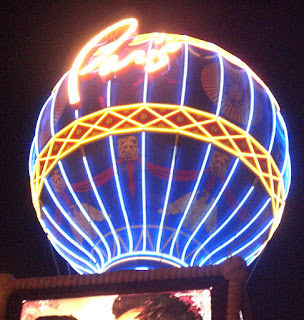 We left, and headed over to Siam Orchid. It was okay, not the best... but we didn't have our favorite server, and the place was getting ready to close. We also had to switch tables, but I won't get into that. Tori and I had lunch at a Nathan's/Kenny Rogers Roasters - her hot dog was hard on the outside, and I wasn't in love with my chicken tenders. Pass. We went to Lancaster for the weekend to experience Amish Country. We had dinner at Good 'n Plenty, a local Amish place. It's a family-style restaurant, and there were seven others (two parties) at our long table. Our waitress, Michelle, was very prompt, friendly, and had a great memory. While we waited for the meal to begin, there was applesauce, chow chow, and bread on the table. The bread was plain sliced white and wheat, with several different butters, including a delicious apple butter. The applesauce was also very good... it tasted fresh. I didn't try the chow chow, which seems to be a cooked vegetable medley. We both had the lemonade, and it was terrific. The menu changes nightly, but that night there was fried chicken, pollock, and roast beef for the main entrees. They come out in platters and get passed around the table - you can take as much of whatever you want, since the plates just keep being brought out from the kitchen. There was brown-buttered noodles, mashed potatoes & gravy, and corn as well. The noodles were great, as was the mashed potatoes. I didn't really care for the fried chicken, and the pollock was extremely buttery. But it didn't stop there! Cherry Jello was brought out, and then peanut butter pudding. Then we were all asked which ice cream flavor we want (vanilla, chocolate, or orange sherbert), and dishes were brought out about the same time as a shoo-fly pie and a cherry rhubarb pie. Jonathan said the pudding was really peanut buttery, and I thought the jello was great. Chocolate ice cream was yummy and creamy, Jonathan liked the orange sherbert as well. I didn't really care for either of the pies, but Jonathan thought the shoo-fly was okay. We were in the middle of some traffic on 222 (apparently in Temple, PA) and hungry. We got off for a few minutes and pulled into a V & S Sandwiches - it sounded good enough. It ended up being a great choice! They seem to be some sort of chain, although I'm not really sure since I can't locate a company website. Either way, when we got back on the road there was no more traffic, so it was a winner all around! I ordered a grilled ham and cheese on a "soft" roll (the choices were soft, hard, or wheat...). It came with a TON of mayo and lettuce, but I was able to scrape off most of it. The tomatoes were very good. The ham was really grilled, but still not the best. I wasn't able to figure out what type of cheese it was... either white american or provolone. I wouldn't recommend the soft roll, as my sandwich began falling apart the second time I picked it up. I got the root beer and it was good. Jonathan went with the buffalo chicken with ranch. He also got it in a soft roll, but they scopped his out like a pita so it didn't fall apart as easily as mine. He liked it quite well, and had a rough time finishing it - it was so big! He had chocolate milk, pretty average. 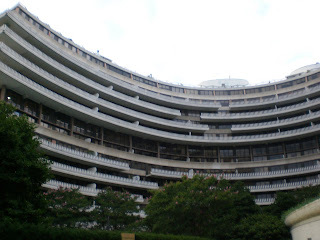 This year's banquet was being held at the Watergate Hotel, at 600 Restaurant. The setting was a bit different from last year, in that the tables were mostly four people, whereas last year they were much bigger. We were also spread out into multiple sections, so when speeches were given, many of us had to stand in the main room to hear (and eventually sit on the floor, as time went on). The Caesar Salad was average, the bowtie pasta with asparagus was plain (I actually added pepper), and the apple pie was not completely cooked. The bread, however, was quite good... and our table polished off two baskets before the salads were even out. A few of us went for a cup of coffee (mocha in my case) at Cup'a Cup'a, a local place next to the Kennedy Center during a break. Loved it. We then had several hours off to eat and see shows and such, and I went to Steam Cafe and Lounge and grabbed a Norwegian Panini (smoked salmon, cream cheese, onions, capers) and a fruit punch. It came with a salad which was nice, but the sandwich was average. I went back to the hotel and napped before heading out again for the 10:30pm monument tour. For another lunch at the conference, I ate at the cafeteria in the Kennedy Center. I must recommend the calamari po'boy, it was top notch! I stopped at the Red Velvet Cupcakery on the way to the next session for a snack. For a whopping $3.25, I bought a "Southern Belle" cupcake, which was like a red velvet. They had about 8 different flavors, included cookies and cream, vanilla bean, and "b'day cake." I wouldn't have even paid a $1 for that cupcake at a bakesale. At my conference, there was a catered lunch by Geppetto's Catering. The turkey sandwich was pretty good. And, instead of California, we now live in Pennsylvania. Sunday we drove through Newtown (not a big place), and to Richboro for lunch. We had some great grub at FreshWorks. We shared a "full" (2 FEET long!!) Bronco Chicken Cheesesteak (with bacon, provolone, and bbq sauce) and some of the best cheese fries I've ever had. They were lightly fried crinkle fries, and the cheese was like a spicy mild cheddar. Andy, Jim, and Vivian joined us for dinner at Claim Jumper. The food was pretty good - I'd recommend the cheese potato cakes. I had the baked potato cheddar soup in a sourdough bread bowl for dinner, but it didn't stay hot by the time I was done. Most everyone enjoyed their choices, although the chicken-fried steak was looking a little ragged... probably because it was the end of the night so the oil had been used many times by that point. Jonathan had gotten a recommendation to try out the sushi at Umi. Getting there was a bit difficult, challenging us with very steep roads nearby. The place is very small, and the servers very friendly. I had a sashimi platter (3 pieces each of tuna, hamachi, salmon, albacore), while Jonathan had a Golden Dragon roll (california roll topped with salmon, lemon, and ponzu sauce) and albacore nigiri. Mine also came with miso soup (which Jonathan said was among the most flavorful he's ever had) and rice. We both agreed that the sushi was all very fresh and well-cut. Everything was good, and we'd easily recommend anyone else try the place. We had lunch at Max's Opera Cafe, which was incredibly unique. It's a local chain, and they modify the name for various locations, such as Max's Diner, Max's Restaurant, Max's on the Square, and Max's Market. They had all kinds of strange "rules" where if they ask "is everything all right?" you get a free drink, and if they ask "are you guys ready to order" you get a free dessert! Clearly, I'd recommend printing out the rules at home so you can learn them, then catch the server in the act! The menu was also HUGE, as in like 13 pages for the LUNCH menu alone! Andy and JB shared the Chinese Chicken Salad and a Reuben sandwich. The salad had peanuts, chow mein noodles, sesame seeds, hoisin, and some regular salad fixings. I had the "Outlaw" sandwich, which was a turkey-bacon-swiss on toasted sourdough. The turkey was Thanksgiving-style, and the swiss was pretty scant. So this made for an extremely dry sandwich, but with darn good bacon. At least the fries were scrumptious! Afterward, we wanted dessert, but the Chinese bakery in Mountain View was already closed, so we kinda just started driving, and arrived at Honeyberry, a frozen yogurt place none of us had been to before. Frozen Yogurt is not a very good description tho, since they only had 4 flavors... they had about 12 gelato choices and another 6 in shaved ice! There were some interesting items on the menu - chocolate-covered strawberries and waffles were on there, strangely enough. I tried the oreo, vanilla, and double espresso gelatos - all incredibly smooth, but the double espresso was realllllly strong. The fresh strawberries and kiwi were nice toppings. The blueberries were sour, the green tea was strong, but otherwise there was nothing that stood out about the other flavors that everyone else got. There was a frequent buyer card, but you had to buy like $60 worth to get $3 off. Clearly the worst one ever. There is, however, one of those opportunities to guess what your creation will weigh (to the tenth of an ounce), and if you get it right, you get a gift certificate (and the amount escalates with how heavy your cup was, from 10 ounces to over 26!). The overall atmosphere was the icing on the cake... we will not be back, nor recommend the place. It was very unfriendly. This past Thursday night, Andy, Kathy, JB, and I all went to Shabuway, a place downtown that we always walk past but have never been in. It labels itself as a Japanese fondue place, and the service is incredibly fast (tho not precisely accurate). Kathy and JB each ordered a large shabu shabu plate (really thinly sliced raw beef and a platter of like 5 kinds of vegetables). Andy had the large with extra meat, and I got the 10-piece shrimp potstickers. Similar to Mongolian hotpot, you get a pot of boiling liquid (again, we got the divided half-and-half with plain on one side and spicy on the other). I didn't care for most of the vegetables (Kathy might have been the only one who truly enjoyed them - she even ordered an extra platter of them), but otherwise it was good. The pricing is fair. They all enjoyed the kobe beef (they were out of lean meat); I thought it tasted just like all other beef. My shrimp tasted more like pork, but that wasn't really a problem. We had a hard time getting our water glasses refilled, and the server wasn't very happy that Kathy wanted extra spicy broth. Lastly, Jonathan and I ordered a side of udon noodles, but instead received an unagi bowl. It was a great deal and tasty eel, but we had to repeat our order twice (the waitress didn't write it down and she mixed up several things when repeating it back to us), and we still received the wrong item. In the end: I don't really have much purpose in going back, but if you like beef, I say give it a go! Jonathan's parents were visiting, so one night we went to eat with them at Pasta? Trattoria, where our server was truly Italian! The bread was good and crusty, but I wasn't too impressed with the Macaroni ai Fromaggi, which was macaroni and cheese with ham. It wasn't really "baked" like the description stated, and the hint of nutmeg in the sauce was strange and uncalled for. Jonathan tried the Gnocci Tartufati, which he liked but I didn't care for due to the truffles in the cream sauce. His dad liked his Fusili con Salsiccia (corkscrew pasta with sausage), and his mom had a spicy penne dish with tomato sauce. We drove to Santa Cruz. Jenny, a friend of Jonathan's since the first day of college, was there visiting her parents, so we met up with her at the wharf. We had a late lunch at Gilbert's Seafood Grill, where every table had an oceanview. Jonathan and Jenny both really enjoyed the New England clam chowder. I really wanted to get the Shrimp Melt, but the mushrooms were cooked with the shrimp, so I went with the Fisherman's Pasta. It was well worth the money, and I'm certain that if you love fish, you'd enjoy it greatly. There were probably four kinds of fish in it, plus GIANT scallops and a few shrimp. 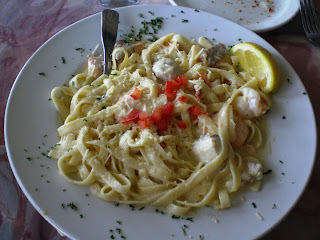 The pasta was fettuccine, and the saucy was a white cream sauce with very little cheese. I had half boxed up, and enjoyed the reheated leftovers with extra cheese. 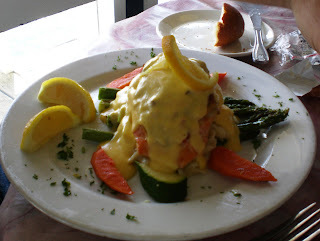 Jonathan had the Stuffed Salmon special of the day, which was stuffed with crab and shrimp, covered in hollandaise sauce, and served on top of asparagus and mashed potatoes. He enjoyed it quite a bit, and took the leftovers home. Jonathan's mother had the snapper (very fresh! ), served with a vegetable medley and a fantastic rice pilaf. Jenny ordered the same. Between the view, the service, and the ability to watch the sailboats come in and the sea lions play, it was really a fantastic restaurant that we'd all recommend! We went to the Venetian for lunch and to walk around. We ate at Towers Delicatessen, where Jonathan had the corned beef reuben, and I had a grilled chicken-and-ham toasted sub. Wonderful place, but they served coleslaw with the meals, and it was sweet. Jonathan said that it was one of the leanest reubens he had ever had, and I'd recommend getting extra sauce on the sandwich, but otherwise it was a great place. Dinner was at Buca di Beppo, an Italian family-style restaurant. We went there to celebrate Chris's birthday, and there were about 15 people in all. It's a pretty neat place, since you are allowed to walk through part of the kitchen, there's a window to watch pizzas being made, and there's a special "pope table" with a bust of the Pope himself on it! We kinda split into a 6 and a 9 unintentionally, as they put tables together to accommodate our party. Our six ordered the mozzarella garlic bread and the mozzarella caprese (tomato-mozzarella-basil) as appetizers, and the spicy arrabbiata pizza (sausage, pepperoni, onions, gorgonzola, provolone, mozzarella), quattro al forno (cheese manicotti, chicken cannelloni , baked ravioli, and sausage stuffed shells), and the prosciutto stuffed chicken (in pesto cream sauce) as entrees. The other table had the same pizza, lasagna, baked rigatoni, and a bunch of stuff I couldn't identify. Everyone enjoyed the bread, and the caprese was pretty standard. The pizza was enjoyed by most everyone, although I wasn't the biggest fan (too much sauce and sausage for me, plus the crust was plain). I tried the stuffed shells (and that's how I found out they had sausage in them), then traded them to Jonathan for his baked ravioli. It was pretty standard... could have had more mozzarella on top to balance the ricotta inside. I wanted to try the cannelloni but it didn't happen. The prosciutto chicken was really very good - it had mozzarella inside too - and I wish I had room for more! A few of us tried the lasagna from the other table, and it was the thickest pasta dish I have ever seen! We made a to-go box (that probably weighed 5 pounds!) 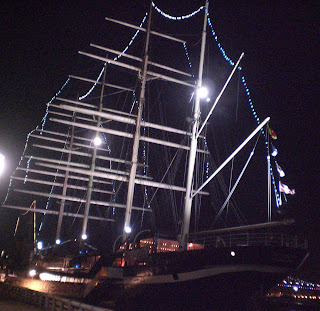 but it ended up being sacrificed since we didn't go back to the hotel immediately afterward. We needed a snack of sorts, so we explored our hotel some more and found Burger Palace. We shared a chicken tenders platter, which was pretty cheap for the portion. The fries were fresh, hot, and crisp on the outside. The chicken tenders had excellent breading, and a good amount of spice, without being spicy. Thursday while we were in Vegas, around 4pm, JB and I stopped to grab a bite to eat at Carnegie Deli in the Mirage, a NY-style sandwich shop. We shared a hard salami with cheddar on white, and didn't finish it between the two of us! We also got a side of fries (to avoid the $3 plate-share charge), and they were fantastic (in case you've not noticed, I truly love quality french fries). The cheese wasn't quite enough for the amount of salami (probably 5" tall!! ), but it was quite tasty. The downfall: no honey mustard, which would've been perfect. They did have a good stoneground mustard, and I used that instead. We were in Vegas for a few days. 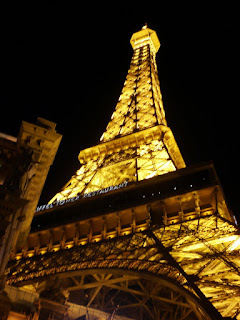 The night we got in, we walked around the Strip (also known as Las Vegas Blvd. ), take photos, and grab some snacks. We waltzed through Paris, and stopped to grab a bite at JJ's Boulangerie, which had fresh and fantastic pizza and gelato. Everyone else had the pizza (Jim and JB each had a slice of the carne, and Vivian had a hawaiian-esque slice), but I wasn't as hungry, so I totally monopolized some fabulous coffee gelato. It was crazy cheap for gelato ($1.79 for a single scoop in a cup, but the single scoop was similar to the size of the "like it" at Cold Stone, so it was BIG), and very good. We flew out of San Francisco during dinner time, so we grabbed a bite to eat at the Firewood Grill before leaving. JB had a burger, I had a chicken panini. The fries were good, he finished his burger, I didn't finish my cheese-less chicken. Vivian celebrated her birthday at Pampas this year. There were 14 of us gathered around a large table in the downstairs (there are three levels) seating area. The place was very dim (we could have easily used twice as many candles at the table), but it was a fun time. Pampas is a Brazilian Steakhouse, and they call themselves a Rodizio as opposed to a Churrascaria (not sure why). Basically, servers come by with large hunks of different meats, and slice each person what he/she wants. Same fashion as Texas de Brazil, which I would call one of JB and my favorite restaurants. For those of you who have been to Texas de Brazil (we went to the one in Orlando for Jonathan's 24th birthday, so a bunch of the Melbourne peeps have been there), they are completely different. The Pampas salad bar (which comes with the meal) is probably about half the size of the one at TdB, and only offers cold items. So instead of lobster bisque, the soup choice was a chilled cucumber, which was strangely sour. There were many cheese options (and good salami, too), but the general "salad" toppings were lacking in variety (no carrots, for example). But, let's be serious. You don't come to spend $44/person (before tax/tip) for the salad bar, you come for the meat! The spicy pork was easily my favorite of the evening, and I had three pieces. It's one of the few meats that comes with an accompanying sauce, which I loved with it. Jonathan liked the pork without the sauce. Everyone seemed to enjoy the top sirloin and both lamb options. There were a couple different sirloin fillets that nobody complained about (so they must've been tasty), a skirt steak that I heard a few people label as their favorite, and a rock-salted tri-tip that a few people got seconds of. The chicken options included a sweet thigh and a spicy leg. The spicy was a vinegar-spicy, so it wasn't much to speak of, and rather blase. The sweet was good, and if I had room, I would have tried another piece as well. The sausages were standard breakfast-size, but very juicy (I had two). The turkey could have become a favorite had it been cooked a little longer. It was wrapped in bacon, and both were smoked... however the bacon was still very limp, so it didn't really fit with the smoked turkey (which was nearly ham, as is most prepared in this fashion). The pineapple was extremely juicy, wonderful, and delicious. Was it worth $44? Not really, no. BUT, I do need to mention that the complimentary starters included FANTASTIC cheese bread (I think I had four pieces all in all), fried plantains (pretty good), and fried polenta (eh). Otherwise, the meats were kinda fatty and not as flavorful as they could have been, and the salad bar was lacking. The tabouleh was overly dry, the whipped potatoes lacked flavor, and the grilled veggies (squash, eggplant, peppers) were oily. Is TdB worth $50? Heck yeah. Serve me a good soup, a diverse salad bar, and lean, tasty meats and I'm good to go. (and we've been there more than once, so it wasn't just a "lucky occasion" that I'm remembering, LoL). A bunch of us went to Happy Hour at St. John's Bar & Grill. I really liked the place. There was a large outdoor area, and a maze of tables utilizing all the interior space as well. We had our own little corner, and all appetizers were half-price from 4-10pm! This made for a great deal on great food. There were a bunch of us there, so the appetizers just kept coming! We didn't finish everything (I don't know that we even came close), but I'd definitely recommend most of the stuff that we tried. - the bacon and cheese fries were fantastic. Cheddar & jack cheeses, sour cream, green onions, fresh crispy bacon, good deal all around. I loved them. - deep-fried zucchini was pretty average. you kinda hafta like zucchini. I also don't care for hot cream cheese, which is what accompanied the veggie. - jalapeno poppers were stuffed with cheddar instead of cream cheese, and they went fast (and there were multiple plates of those!). Jonathan enjoyed them, I didn't give them a try. - calamari strips were the new item that week, and were really large pieces, instead of the small ones that you usually get. They were served with lemon (which they needed) and cocktail sauce, no tartar (is tartar just an east coast thing, or was I just spoiled when I ate them, LoL?). - my personal favorite was the chicken quesadillas. Cheese, onions, chilies were inside. Salsa and sour cream were available in large portions, and the guacamole was among the top 5 I've ever had. AND they were only like $4.25 during the special, and you get a HUGE plate of them!! There were probably a few other things on the table, but these are what stand out in my memory. As we left, I remarked that it was too bad we found the place so late in our stay, I would've liked the chance to go there again. Now, we've been to In-n-Out before. But it's been a while for me (although JB had some while I was away), and I've been dying to order by the secret menu. We went through the drive-thru and took home our meals this time, which was interesting. They actually have a live person with an electronic tablet taking orders instead of a speaker box. This is rain or shine, as we've learned. We each ordered cheeseburgers "animal-style" (JB had a double, I had a single), JB got regular fries, I got fries "well-done," and I ordered a vanilla milkshake. We both liked the animal-style, it was great. In case you've never seen the secret menu, it's basically mustard-cooked beef, and has extra pickles, secret sauce, and some grilled onions. I liked it a LOT (pickles are probably in my top 20 favorite foods if you didn't know), JB thought it had way more pickles than necessary but enjoyed it. Next time, I'd get "no lettuce" and maaaybe "extra toast" (meaning the buns are crispy). The "fries well" weren't that special... especially since they forgot to give us ketchup. I might give up on their fries altogether, since it's not like they have honey mustard or bbq or anything. The milkshake was soooooo cream-heavy it was ridiculous. Never again with a meal. And only maaaaybe as just a dessert. Word to the wise: don't take an "animal-style" out of the wrapper, it's a mess if you do! Roundtable Pizza is a much bigger place, and is a chain. We had seen many commercials for them before we actually gave them a go. Our local branch is in the same plaza as Safeway (the grocery store), so while it's close, we don't get them often... they're kinda pricey. But, they do make a very good pizza. We first tried the Meatball Marvel. It had a great crust, one of those mid-rise crusts with handrolling pinches along the edge.... yum! They put seven cheeses on it (seriously! ), meatballs, tomatoes, garlic, and caramelized onions. I picked off about half of my meatballs (just not as big a fan as Roundtable is, LoL), but Jonathan liked the flavor combination quite a bit. That was the only specialty pizza we've tried from them, and I honestly don't remember what else we've tried... probably just pepperoni, LoL. Fast Pizza is a mom-and-pop place, located in a plaza maybe a quarter mile from our place. They take about fifteen minutes (great, we have enough time to finish what we're doing, then head down there), and are very good. We've had them several times, both pick-up and delivery. They were the first pizza we got while we were out here, and quickly won us over. We've had two or three of their sauces, and many of their toppings. Our favorite combo is pepperoni and green peppers, with a side of garlic cream sauce. It's fantastic. The only thing I wouldn't recommend: the breadsticks. too blah. We were able to park about four blocks away, which was much better than most, since we saw people walking for quite a while. I had printed out free coupons for the Festival, so we weren't charged the $5 each entrance fee. When we first walked in, the place seemed huge, but it wasn't that big, surprisingly. We went to a booth and bought some tokens (poker chips that had the St. Nicholas Greek Orthodox Church name and logo on them), since the booths are all cashless. Very good system.